Would you like to turn your seemingly lackluster teeth into a beautiful row of pearly whites? 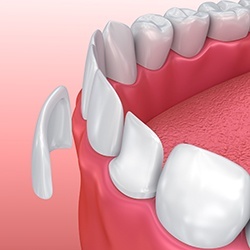 Whether you need to conceal a broken or chipped tooth or completely alter the appearance of multiple teeth, Homer Glen dentist Dr. Alan R. DeAngelo can help! Thanks to the talent at Dr. DeAngelo's dental office as well as advancements in the field of cosmetic dentistry, porcelain veneers from our practice In Homer Glen help patients improve their appearances and smiles! A porcelain veneer is a thin, tooth-shaped shell of ceramic that is used to hide a damaged or malformed tooth. It’s even possible to place multiple porcelain veneers to completely renovate a smile’s look. The Homer Glen team at Dr. DeAngelo's dental office enjoys working with patients to create the look they’ve always wanted. Dr. DeAngelo works with a trusted dental lab that uses fine dental ceramics to handcraft veneers that truly transform a person's appearance. Just review a few of Dr. DeAngelo's before-and-after photos, and you'll see for yourself that exquisite porcelain veneers can work wonders for a person's appearance. If you would like veneers, you'll first meet with Dr. DeAngelo for a thorough oral health exam and consultation. 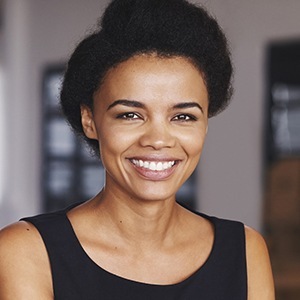 Bring photos of smiles that you admire, and we'll help you determine which attributes would work well with your face shape and other qualities. Once we understand your goals and vision, Dr. DeAngelo will create a wax model of your smile as it would appear after porcelain veneers are permanently placed. The model will allow you to see and feel the proposed results while allowing Dr. DeAngelo to address any positioning concerns. You will wear temporary veneers until your final restorations are ready when you’ll return to our Homer Glen practice. Because the porcelain the lab uses mimics nature, your new smile will reflect light as natural teeth do. The shading of your veneers will blend seamlessly with the surrounding teeth. You won't believe the transformation at first, but the reaction of your friends and loved ones will verify that your dream has become reality.